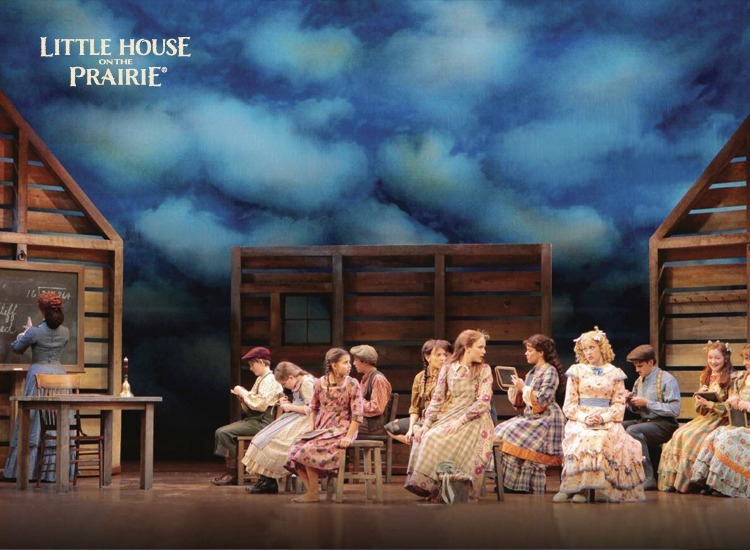 Little House on the Prairie, The Musical was a stage adaptation of Laura Ingalls Wilder’s stories and derived inspiration from six Little House books with particular emphasis on the family’s life in De Smet, South Dakota in By the Shores of Silver Lake, The Long Winter, Little Town on the Prairie and These Happy Golden Years. 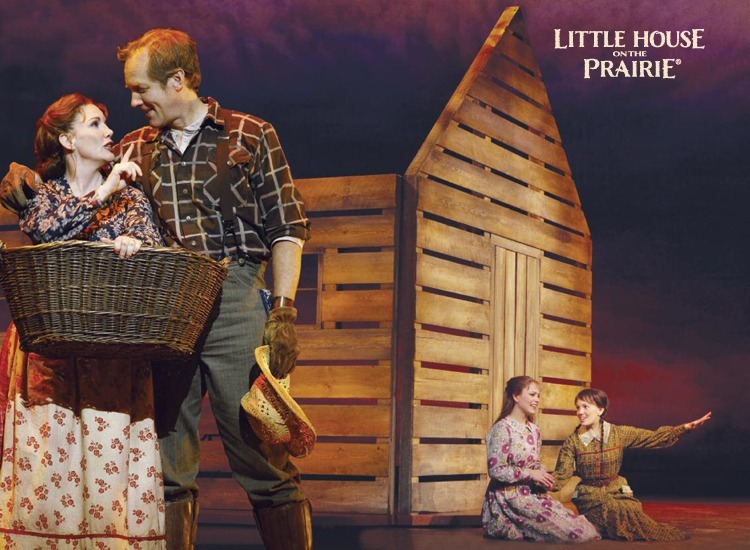 Through the magic of live theatre, the musical follows the Ingalls family’s journey westward and settlement in De Smet, South Dakota where Ma and Pa Ingalls hoped to make a better life for their children. In story, song, and dance, we see the Ingalls suffering the hardships of winter blizzards and prairie ﬁres as well as rejoicing in the settlement of land. Most of all, the story follows Laura as she grows from a child who loved to run free into a woman who embraces the responsibilities of her own future while remaining true to herself. 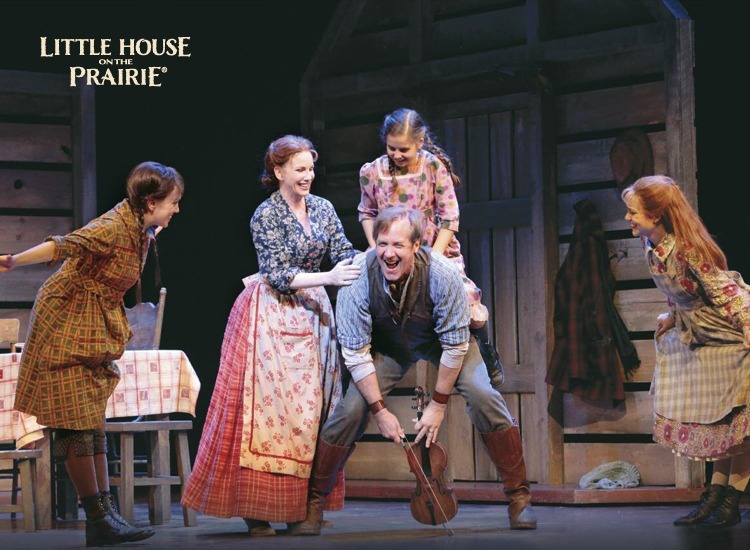 When Little House on the Prairie, The Musical opened August 15, 2008 at the Guthrie Theater in Minneapolis, it broke box office records. Opening day single ticket sales tripled the previous record and brought more new attendees to the Guthrie Theater than ever before. The show ran for eleven weeks and sold-out to 100% capacity the entire run. The Musical then toured 28 cities in the U.S. and Canada for 34 weeks from October 2009 through June 2010. The show was directed by Francesca Zambello (Disney’s The Little Mermaid), the music was created by Academy Award® winner, Rachel Portman, and the book was written by Rachel Sheinkin (Tony Award® for Spelling Bee) with lyrics by Donna di Novelli. The Musical starred Melissa Gilbert (who starred as Laura in the original television series) as Caroline Ingalls (Ma), Steve Blanchard as Charles Ingalls (Pa), Kara Lindsay as Laura Ingalls, Alessa Neeck as Mary Ingalls, Carly Rose Sonenclar as Carrie Ingalls, Kevin Massey as Almanzo Wilder and Kate Loprest as Nellie Oleson. Melissa Gilbert served as the national spokesperson for the tour, and the show was co-sponsored by Habitat for Humanity and The Seeing Eye. Since its founding in 1976, Habitat for Humanity has built more than 300,000 houses worldwide for more than 1.5 million people. 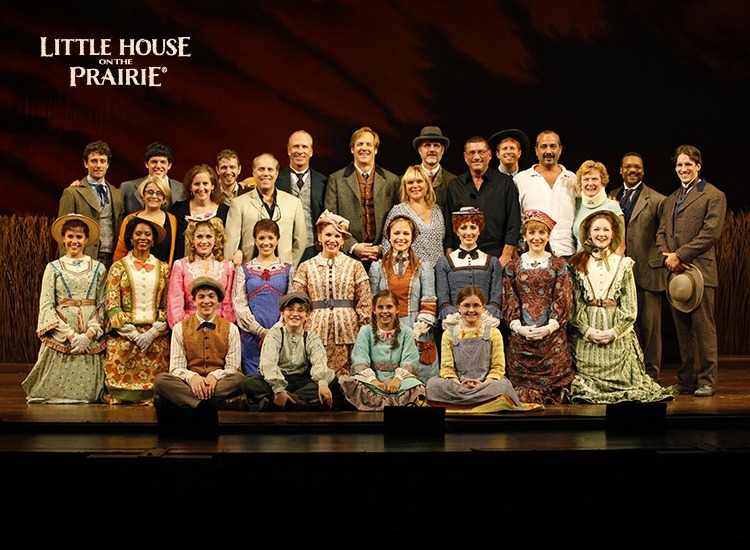 The cast of Little House on the Prairie, The Musical collaborated with Habitat for Humanity to build a house in each of the cities they visited during the tour. The Seeing Eye provides specially bred and trained dogs to guide blind people throughout the U.S. and Canada, offering them greatly enhanced mobility and independence. A future stage musical with a new script and creative team is in development. This musical will focus on the special relationship among the Ingalls sisters. Stay tuned! 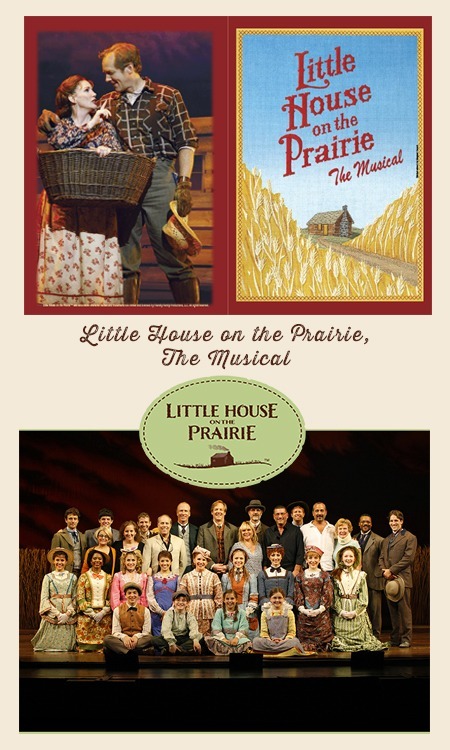 Subscribe for to our free Little House on the Prairie newsletter to get the latest news and events.